offers clinic-based health care professionals in low- and middle-income countries the latest guidance on providing contraceptive methods. 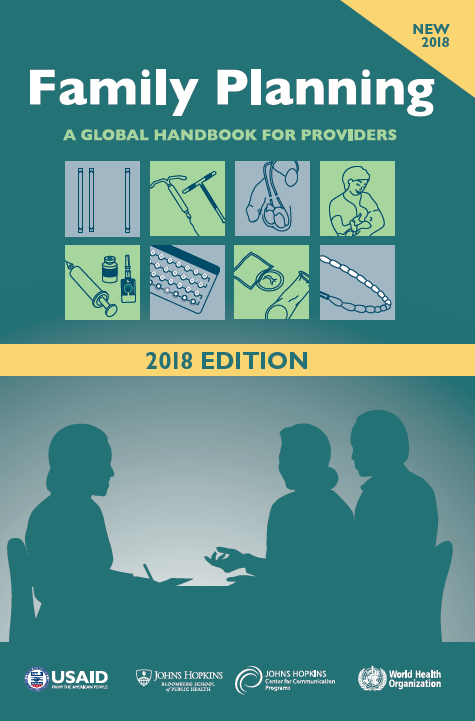 When we released this new version of Family Planning: A Global Handbook for Providers in February, individual chapter downloads were still being modified. Those downloads can now be accessed from each chapter's web page. You may also rely on the full downloadable version of the 2018 edition of the Handbook. 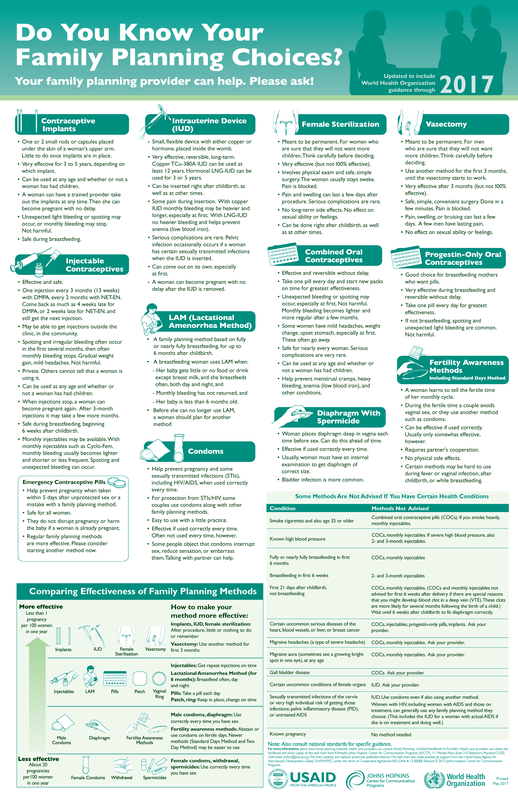 Do You Know Your Family Planning Choices? has been translated into eight languages, and more than 1 million copies have been distributed worldwide.